In 1993 (I think! 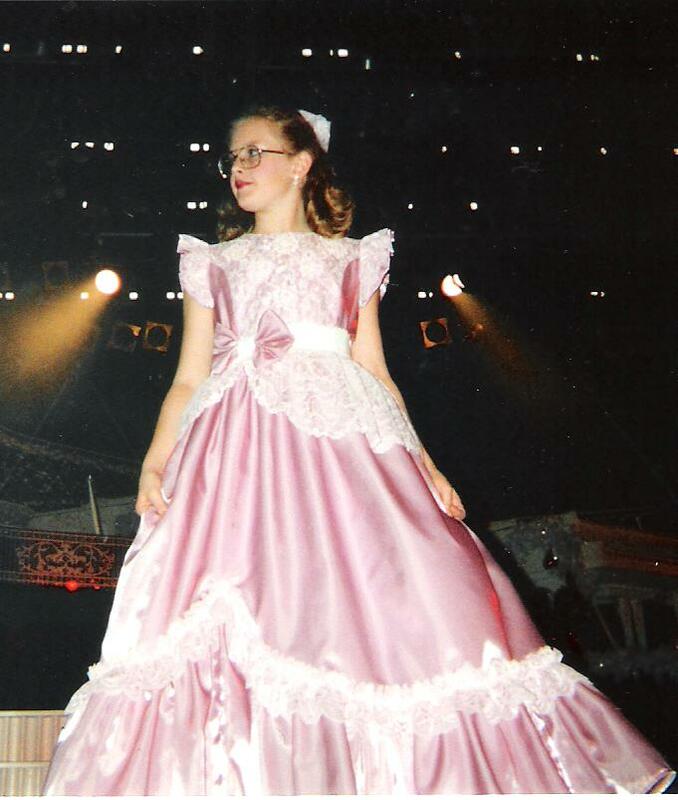 ), Annie played the piano in Dino Kartsonakis’ Christmas Show in Branson, MO. I made her dress, of course! It was sparkly and beautiful, and she loved it! Here’s the dress, a little wrinkled from hanging for 20+ years in the closet, but otherwise intact. It was a combination of careful stitching and garment construction, and quick finishing for a garment that would be worn only a few times. For the stage, glitz wins out over fine detail! 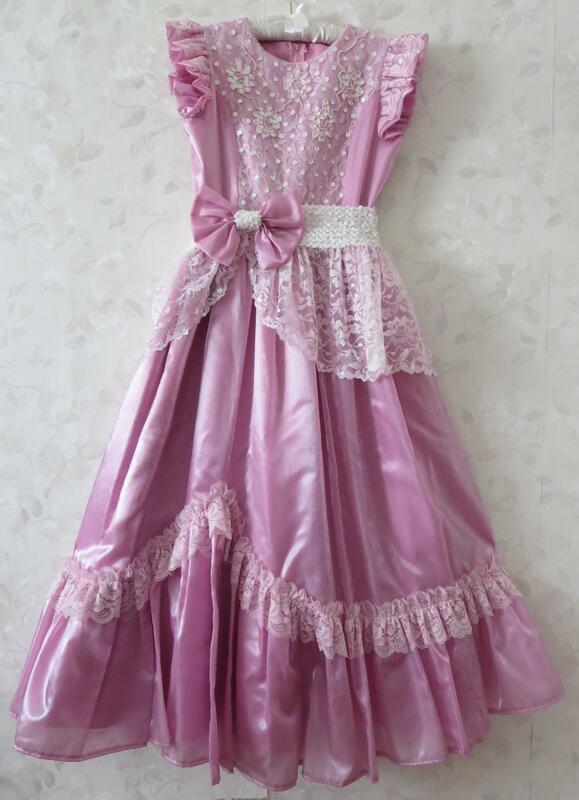 The dress was made from an iridescent synthetic satiny fabric with synthetic lace yardage and trim. I think it was a Butterick pattern. The peplum was a separate piece, consisting of lace yardage gathered and stitched to a stretchy wide sequin band. It fastened under the bow with hook and loop tape and a snap. 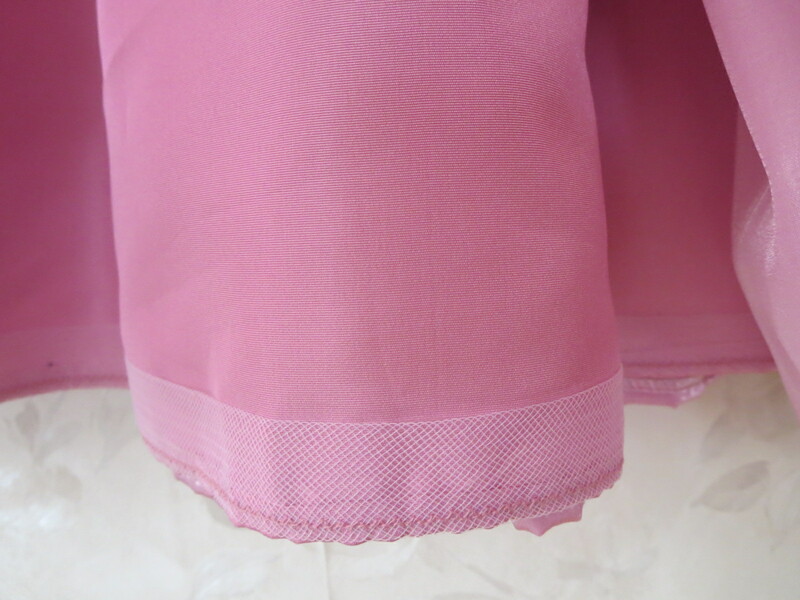 The elastic has deteriorated and is no longer very stretchy, so I had to pin it in place to take this photo. 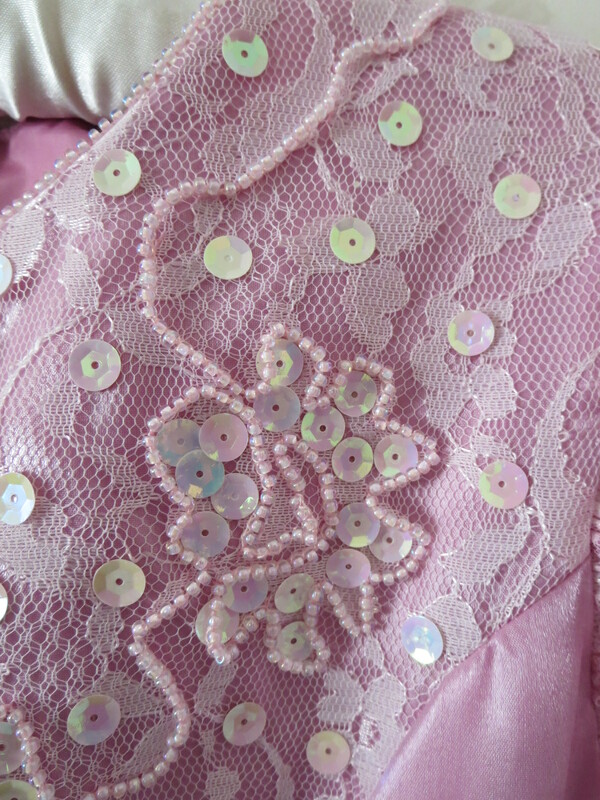 I hand-beaded the neckline and bodice with iridescent glass beads. After bringing the dress in for approval (I was the only Mom making a show dress,) I was asked to add even more sparkle. So I glued iridescent sequins on the bodice for more glitz! The entire dress was lined with a polyester lining, and I added horsehair braid (which is not really horse hair, of course!) to the lining hem to hold the skirt out nicely. This entry was posted in Uncategorized and tagged Family, Garments by susanstewartdesigns. Bookmark the permalink. Awww, that’s positively fun and pretty as a princess! I know she loved it (and probably still has a lovely memory there). 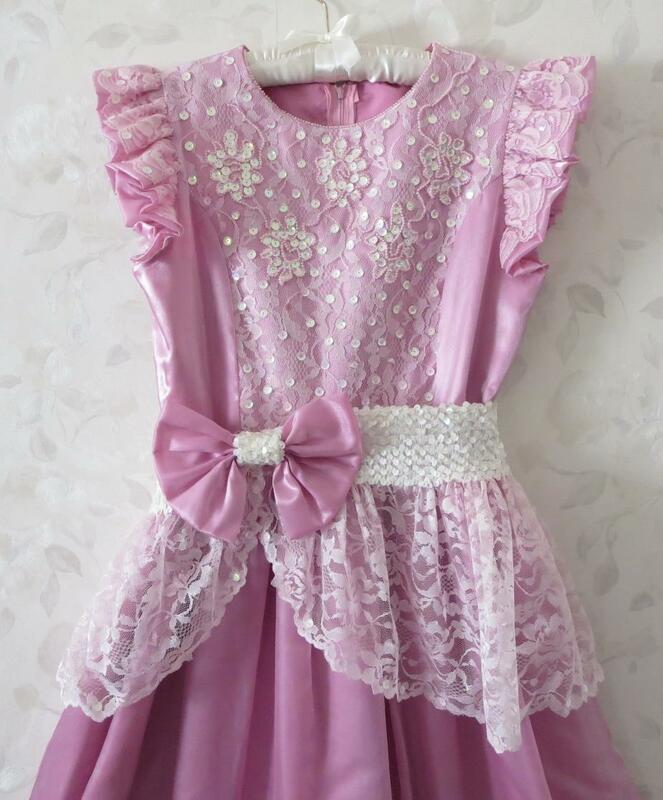 My Mom made me several beautiful sparkly, princessy dresses in my childhood, and I remember them all with great delight. What a great memory for you both! That is so beautiful and very creative. I think you should create a pattern!!! What a wonderful memory! What a delightful story of you and your daughter. Horsehair in the skirt hem reminded me of all those gowns my mother made for me and my two sisters with horsehair. Love your stories that help bring back fond memories.